I've been working from home for nearly two months now (man, how time flies! ), and have realized that it's crucial to have a comfortable and supportive office chair. When I madeover my little office nook in the bedroom, I decided I would make do with using a spare dining chair until we move in a few months since we don't exactly have a ton of space in our tiny apartment. Adding another chair just seemed like a pain. 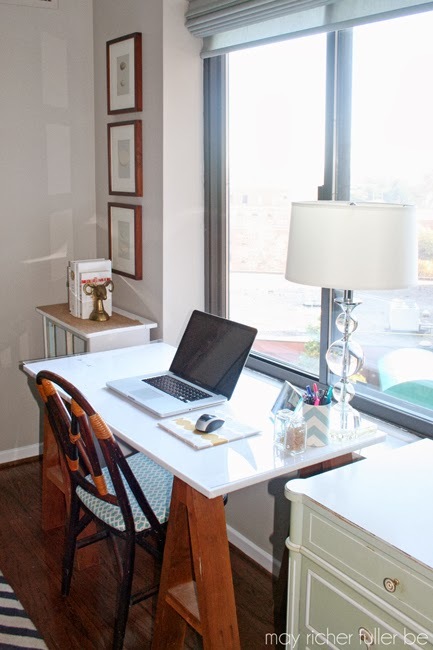 Since our plan is for me to have an actual office (hopefully, fingers crossed!) in our new place, why try to make room for another chair now? Well, as it turns out, after sitting in this chair for about eight hours a day, five days a week, my back started to hurt. Like, ache. No bueno. I realized there was no way I was going to make it in that chair for the next few months without having to see a chiropractor regularly. Doesn't look like the most comfortable chair to sit in all day, does it? I figure a new chair is probably cheaper than several chiropractor visits :). But ultimately, most of these were out of my budget. Since I've never been a person who quits easily when it comes to looking for a good deal, I did a last-ditch-effort Craigslist search and...drumroll please...my perfect chair came up as the top listing - right on budget at $90 to boot. What? When does that ever happen? I think it was meant to be. I promptly called and made sure they had one in stock and went and picked it up yesterday evening. If you're in the DC area, as of 1/27 the listing was still up, so if you want one, check out this post for details. I put it together last night, but haven't had a chance to take any photos yet. It looks so good in my office area though - I'm so excited about it! (And so is my back!) I'll be sure to take some updated photos soon and show you :). 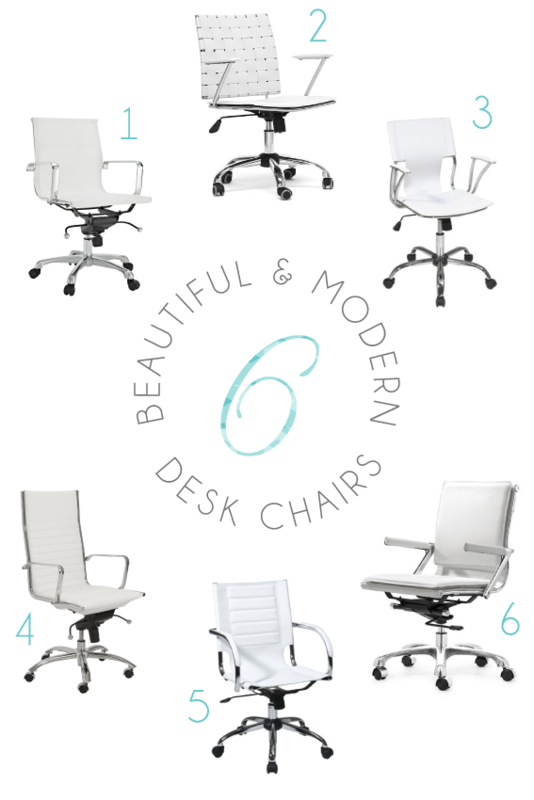 I think office chairs and Office Desks should always be of comfortable design. I prefer to collect them from the best source also. White office chair is my favorite as well. I've requested my boss to provide me a white ergonomic chair recently and seems like within next week I'll have my one. I think I'm gonna recommend these chairs as well before making final purchase. Thanks for your sharing post. In need of a stylish comfortable executive chair that won't clean out your wallet? Then it sounds like Flash Furniture is the brand for you! The ergonomic kneeling chairs features an affordable price that puts competitors to shame. It features a unique modern style with a luxuriant black leather upholstery to wrap up all the high end ergonomic features.